Yum. Sea Bass or T-Bone? Delightful options for sure, but as I pondered the choice, I felt uneasy. 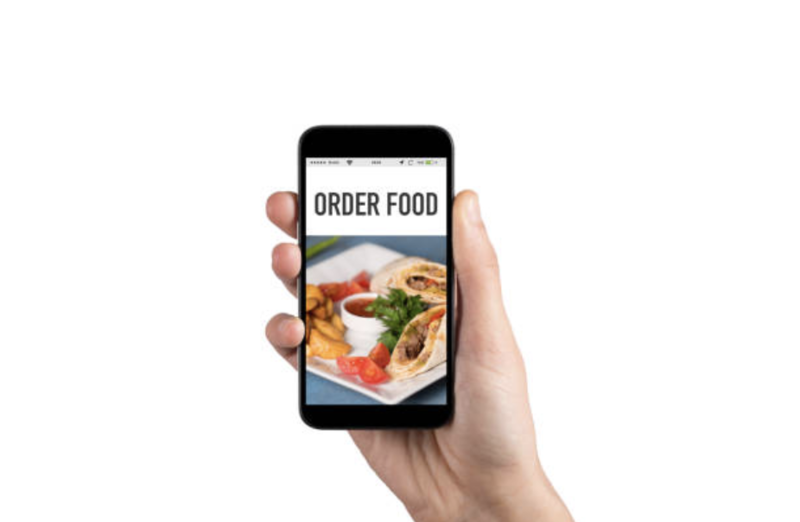 I was sitting in my living room browsing the online menu for a meal that was still six weeks away and, along with everyone else in our party, I’d been emailed the link to a website where we could submit our orders well in advance. Slick technology. Incredible efficiency. But really? In the 21st century, we all feel the need for speed, but something felt fundamentally wrong and I started to reflect on what was being lost in this rush to optimise the ordering process. Anticipation and mystery, for starters (sorry, couldn’t resist) – the pleasure of wondering what a new restaurant is going to be like, what new culinary adventures it might hold. Maintaining the spontaneity of adventures, too – waiting to just rock up and see what you feel like eating on the night. And what about the more subtle social processes of mealtimes, the bonding rituals of eating together that exist in different forms in every culture on earth? The turn-taking element of ordering, for example, that briefly makes the 12-year old a social equal with his Nana, and the ordering process simply as an icebreaker, an easy way to get the conversation flowing at the beginning of the night, before the wine can start to do it for you. It felt that deep-rooted and significant ceremony was being replaced by a cloud-based just-in-time delivery system for the sake of efficiency. What next? Pay in advance and order your Uber for 10pm, too? For me, it felt like taking technology too far, just because you can. Technology can tempt you like that, and GTD® tools are no different. Workplace processes also have a social dimension that resist flattening into a simple, efficient exchange of information. The whole menu situation brought to mind a comment I’d heard in a seminar earlier this year which suggested that, somewhere, someone else was rushing to use their ‘tech’ to speed up a process that needed a lot more ‘touch’. It became clear upon closer questioning that, while she was relieved to finally understand what was going on, she wasn’t best pleased about being downstream to a bursting dam of backed-up requests that had started to flow because of the confidence that a waiting-for list brings to someone who struggles to delegate. Now keen to no longer be a bottleneck, her boss hadn’t recognised the need for richer, face-to-face explanation; i.e. checking understanding, negotiating terms, and gaining approval. It was a helpful intervention and, fortunately, not a big thing for them to fix, particularly with both players now aware of the mechanics of how the ball was now being passed. I’m a fan of technology in the right places and have used a fair few cool features in GTD systems down the years, but I’m also a big fan of human factors. If, like me, you’re old enough to remember a technology called VHS, then you may also remember the 1987 movie, Robocop, which touched with dark humour on the dehumanisation caused by technological advancement. In its most memorable scene, an impatient and heavily-armed security robot issued the infamous warning, “You have 20 seconds to comply” just before some bad things proceeded to happen. The waiters and waitresses of 2018 aren’t yet saying that as they wait for your drinks order, but getting an email in November with a deadline for choosing your Christmas nibbles feels like a step closer.